"Thanks to the careers department, I secured a full-time job in the Business Centre at the Park Hyatt. I love working and studying, everything I learn can be applied directly to my job." Spend your days ensuring that all the parts that make a hotel great are running to plan. Hotel operations managers oversee entire operations of a hospitality or lodging establishment. Operations include human resources, housekeeping, security, public relations, food service, sales and finances. Play an important role in maximising both guest satisfaction and hotel revenue. A Rooms Division Manager works to maintain a high level of guest satisfaction through being responsible for the entire front office operation, including front desk, concierge and telephone services. The Rooms Division Manager also works to maintain the financial results of the department with a focus on controlling the expenses and ensuring maximum room revenues are achieved. Manage the daily activities for the front desk, concierge, bell counter, guest relations and business centre departments. You'll also be responsible for VIP guests in the hotel. Be the one in the know - guests will turn to you when they need something to enhance the enjoyment of their stay. Providing a variety of services to guests within hotels such as storage of luggage but also including booking dinner reservations, transportation or entertainment within the area. Local knowledge and can-do attitude will go a long way. Working within a variety of restaurant environments to oversee the operation and service of food and beverages to customers. The Restaurant Manager is also responsible for managing the business aspects including recruitment of staff & staff training, ordering and purchase of food and non-food items, budgeting & marketing. Good knowledge of coffee and barista skills? Coordinate production and service of food and beverages may also assist in service. Will also plan, run and supervise the business activities too. Ensure high standards of cleanliness and service at all times. Manage the cleaning duties within a hotel supervising a team of housekeepers. Deal and coordinate with hospitality suppliers regarding linen, cleaning materials and guest supplies. Like to throw a dinner party? Be in charge of the biggest dinner parties. This supervisory position manages the operation of food service in a function room in a hotel or function centre. There will never be a dull moment as you coordinate multiple teams to ensure massive parties eat and drink well. 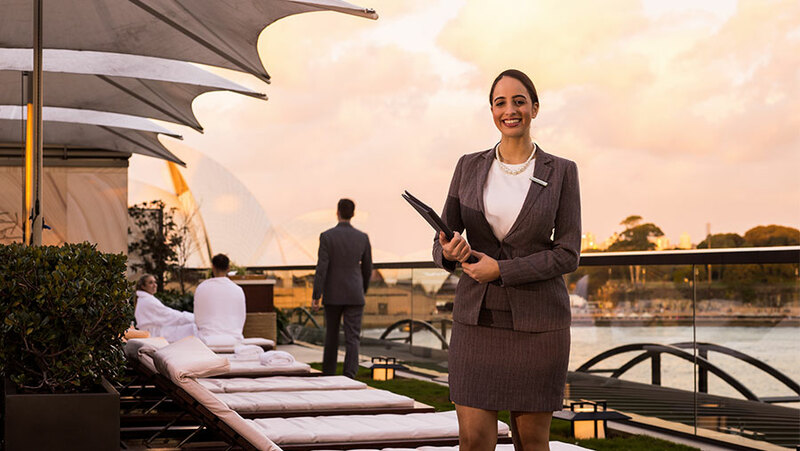 Your ticket to a career in Hotel Management is experience. Industry Placements are built into the course requirements so that you graduate with more than just a great education, you’ll also be an experienced professional.